Just finished reading this interesting and informative book by Paul Sabin, published 4 years ago. Prof Sabin is a professor of history – focusing in particular on environmental and American studies – at Yale. This is a long-form narrative about one of the most famous economic bets in modern history. Population biologist Paul Ralph Ehrlich made a public bet with economist Julian Lincoln Simon about how the price of 5 metals – tin, copper, chromium, nickel and tungsten – would change over a decade starting from 29 September 1980. Why did this curiously obscure (to most of us) bet matter? It reflects 2 diametrically opposing views on the future of mankind. The pessimistic and predominant view of the 1960s and 1970s – represented by Ehrlich and other environmentalists – was that mass starvation and other catastrophes (because of over-consumption of natural resources) awaited humans because of the population explosion, and that immediate and drastic actions to limit population growth was required. Julian Simon on the other hand believed that fundamental economy principles and human ingenuity would enable man to escape the Malthusian trap, and that the doomsayers (represented by Ehrlich) were wrong. It is difficult to understand the fear of overpopulation in the 1970s today, but it was very real and major international organizations like the United Nations and World Bank tied development aid to population control. Even Singapore had its “two child policy” – penalising those with larger families – in the 1970s. But the world population increased from 4.5 billion in 1980 to more than 7 billion today, and Paul Ehrlich very clearly lost his bet in 1990. I appreciated the closing chapter of the book in particular, however, where the author highlighted the contributions of both sides as a whole rather than the simple matter of who won the bet. The polarising effect of the conflict between the scientists and politicians on both sides – where refusal to concede anything to each other in the debate led to worsening weaknesses in their own arguments – shows that history repeats itself. The idea that scarcity and abundance are in a dynamic relationship is also a critical one. 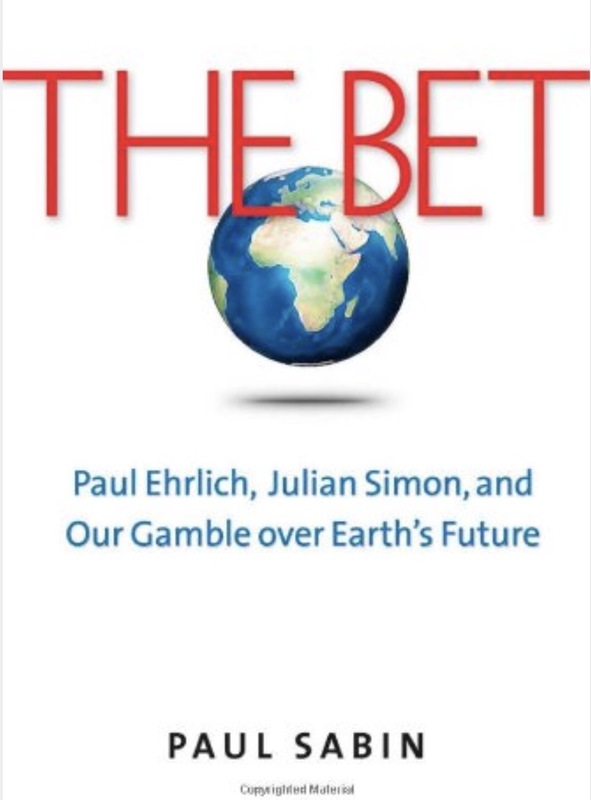 The author drew parallels between the Bet and the current climate change debate. I see a similar parallel on the issue of antimicrobial resistance. We are now at the scarcity end of the antibiotic cycle. It does seem that we can look forward to the future with greater optimism.